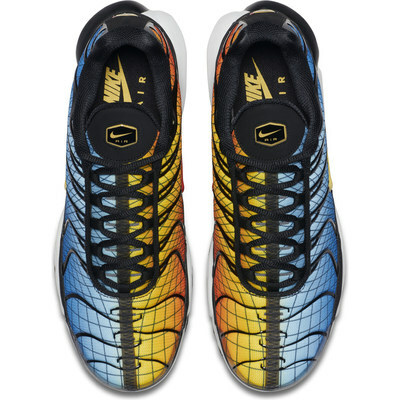 NEW YORK, Dec. 4, 2018 /PRNewswire/ -- Foot Locker today announced its exclusive lineup of hot December drops from Nike, featuring iconic lifestyle sneakers with the launch of "Home & Away," as well as the extension of the "Discover Your Air" campaign featuring the 20th anniversary of the Tuned Air silhouette. Nike Home & Away Collection. The Home Pack launches Dec. 6, only in the respective home markets and online. Away Pack launches Dec. 22, in select stores and online. 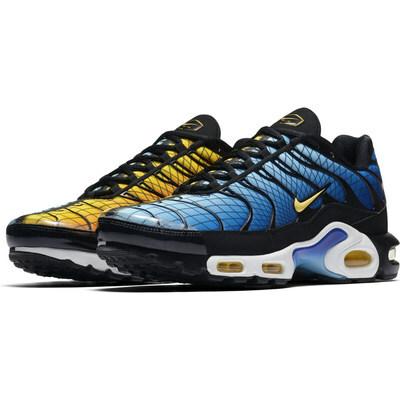 Nike Air Max Plus "Greedy" in Fire/Blue available exclusively at Foot Locker beginning Dec. 8. Foot Locker is part of Foot Locker, Inc. (NYSE: FL), a specialty athletic retailer that operates approximately 3,270 stores in 27 countries in North America, Europe, Asia, Australia, and New Zealand. Through its Foot Locker, Kids Foot Locker, Lady Foot Locker, Champs Sports, Footaction, Runners Point, Sidestep, and SIX:02 retail stores, as well as its direct-to-customer channels, including Eastbay.com, the Company is a leading provider of athletic footwear and apparel.